This photo is of a residential job we handled in Fort Lauderdale. 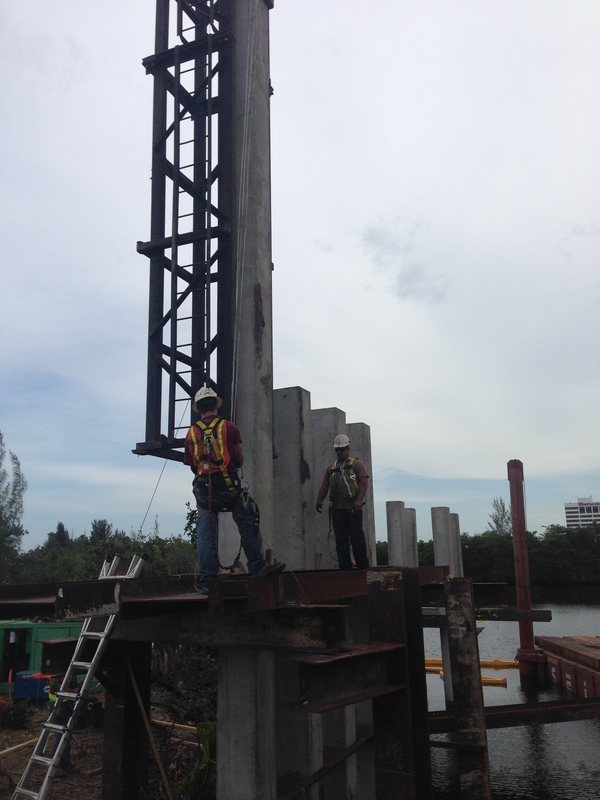 We installed 65 auger cast pilings for this project. This image shows one of two Security Guardhouses we constructed for Port Everglades. In this picture we are forming and pouring the concrete median. 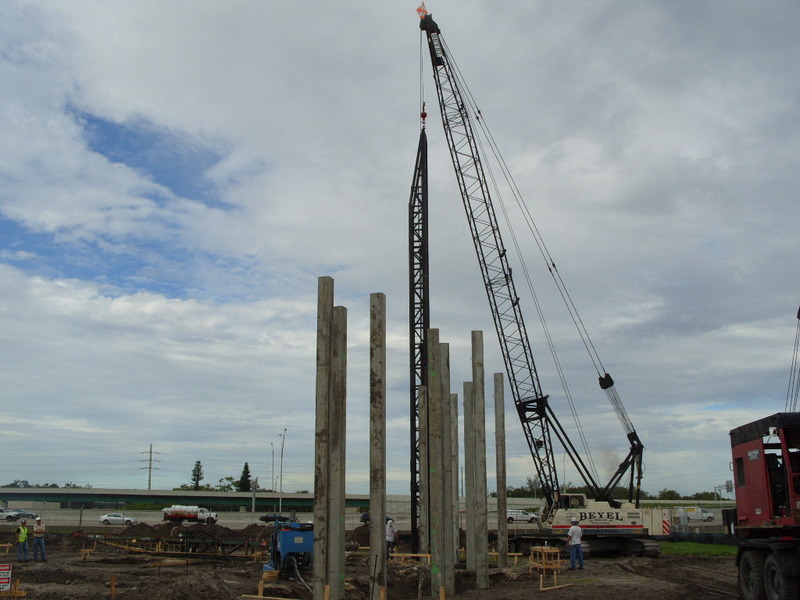 This photo is of an auger cast installation site where we installed auger cast pilings in Lighthouse Point Florida for a private residence. 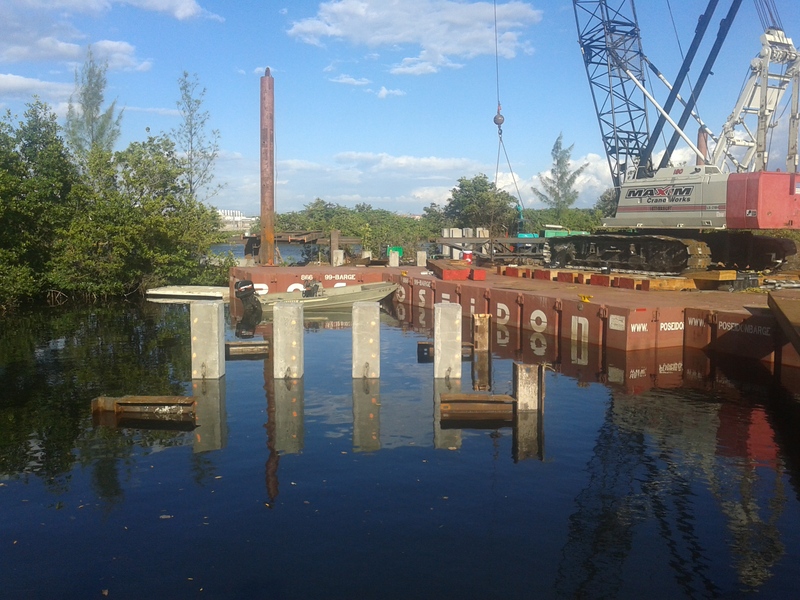 After the pilings are installed, there is cleanup from the overflow, or spoils. This is what you can see happening in this photo.